At one time or another most all of you have had to deal with Cancer. Weather it was You or a Loved One. After having lost both my Parents to Cancer, and having seen my wife deal with Breats Cancer, I felt there was no better way for Hunters to show their support for someone they know who has batteled this Horrific Disease. That is why I am making Custom Acrylic Calls that signify different types of Cancer. Most of the Calls will represent the color for they type of Cancer, but will have White Mixed in with them as you can see from the photos below. There will be more Calls added as the product arrives, but in the mean time if you have a particular color that you would like, please let me know. This Pink and White Acrylic Duck Call signify's Breast Cancer Awareness. 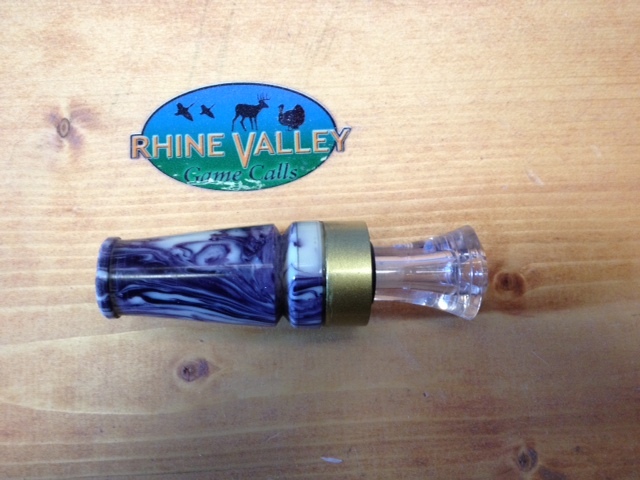 Call comes with Gold Painted Duck Band and Clear Double Reed Insert. This Blue and White Acrylic Call can represent both Childhood, and Prostate Cancer. 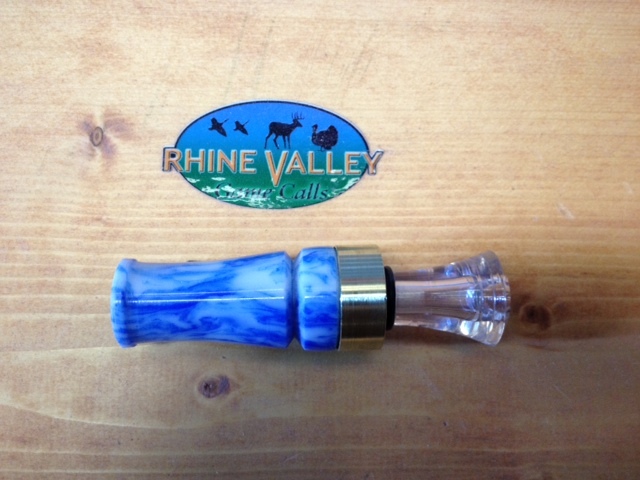 This Call come with a Gold Painted Band and a Clear Double Reed Insert. This Purple and White Acrylic Duck Call represent Hodgkins Lymphoma and also Testicuar Cance. 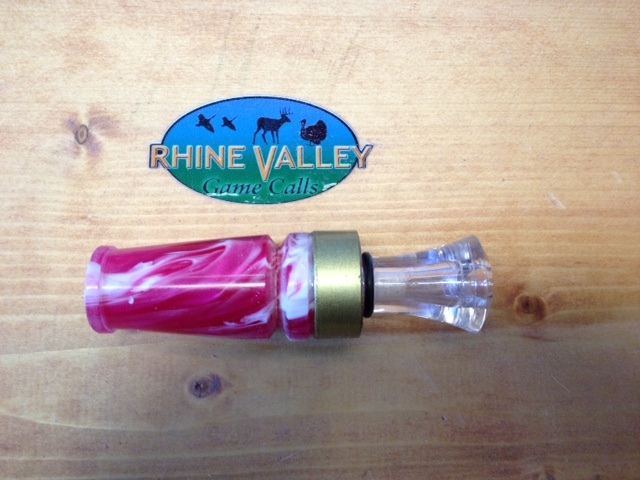 This Call comes with a Gold Painted Duck Band and a Clear Double Reed Insert.